FANBOY PLANET.com . : machinima-jlgm-chronicles :. In Los Angeles today, something called the Digital Content Newfronts occurred -- like television upfronts, perhaps, and a sign of the changing landscape for entertainment. The internet is the medium, and if you're familiar with the YouTube network Machinima, the message is that we're getting a lot of content coming our way and aimed directly at us. Machinima is teaming with DC Entertainment to provide quite a few interesting projects, which we'll talk about as well, but we're starting with this. 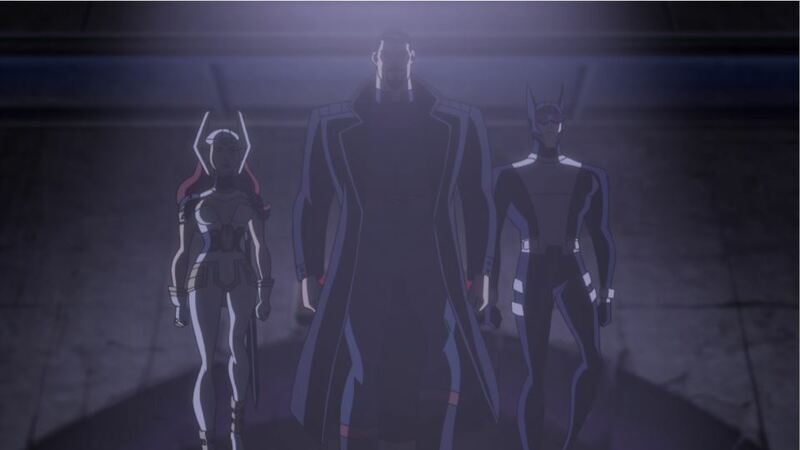 Before the DC direct-to-video animated film Justice League: Gods and Monsters can hit VOD and your local store on July 28, Machinima not only has a series ready based on Bruce Timm's dark vision, but they announced they're developing the second season! "...turns the DC Universe upside-down. 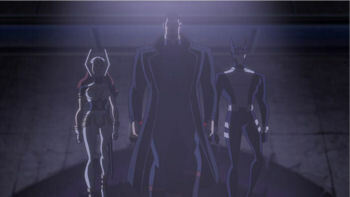 In this dark, alternate world, telling the good guys from the bad guys is never easy: Superman is not the son of Jor-El, he’s the son of General Zod; Wonder Woman is not from peaceful Themyscira, but rather the warring nation of Ares; and Batman is more vampire-bat than man…and he’s not Bruce Wayne. It is unclear if our greatest heroes are here to protect us...or to rule us." Done in conjunction with Blue Ribbon Content, Season 1 is set to launch in June on your computer... as long as you have an internet connection.